so I’m not even going to try. Thus the headline. See my comment at the end of the post. (WIS) Chance Noah Etheredge, 36, has been charged with unlawful carrying of a pistol, resisting arrest, DUI, simple possession of marijuana, and an ABC Violation after being arrested following a trooper-involved shooting. At around 8:30 p.m. on Saturday, the South Carolina Department of Public Safety says a trooper was involved in a shooting in Lexington County on I-20 Eastbound near I-26 at the 64 mile marker. The incident began after a trooper stopped a Volkswagen for failing to maintain a single lane and suspicion of DUI. Once the vehicle was stopped, the trooper began administering field sobriety tests on the Etheredge. Authorities say when the trooper went to place Etheredge under arrest for DUI, he began to resist and struggled with the trooper. Etheredge began to walk toward his vehicle, the trooper then gave him verbal commands and continued to try to make an arrest. The trooper deployed his taser to attempt to stop Etheredge but it wasn’t effective. Troopers say the suspect got back into his vehicle and continued to struggle with the trooper. During the struggle, Etheredge took a handgun from his car and exited the vehicle, according to Authorities. At that time, the trooper fired his service weapon, striking Etheredge. Etheredge was taken to the hospital with non-life-threatening injuries. and then pulls a gun on him! Sen Tom Corbin’s nasty hand! 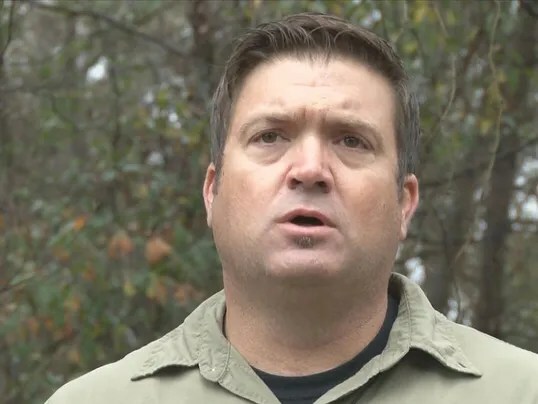 (WIS) – Former South Congaree Police Chief Jason Amodio appears headed for a deal for cooperating with prosecutors in connection with the ongoing probe into corruption in Lexington County. According to federal court documents made public on Tuesday, Amodio agreed to plead guilty back in June to making false statements to a grand jury. Amodio, who resigned from office a year earlier after a raid on South Congaree Town Hall, was originally accused of accepting payment in return for seized gaming machines while he was police chief. Days after the federal indictment, court documents show Amodio signed the plea agreement. South Carolina Attorney General Alan Wilson and U.S. Attorney Bill Nettles both signed off on the plea agreement. The deal, if approved by a judge, would mean Amodio would avoid prison time and be sentenced to four years probation, with eight months of the term to be served in home confinement with electronic monitoring. Amodio also agreed to plead guilty to common-law misconduct in office. Any punishment for that crime would be served concurrently with his federal sentence. He faced up to five years in prison and a fine of up to $500,000 if convicted. 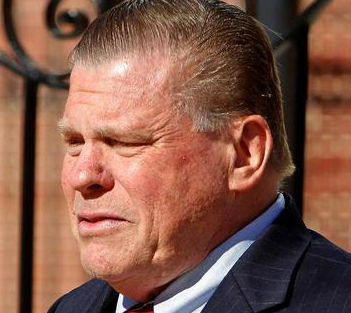 Nettles filed a motion on Tuesday asking the court to depart from applicable sentencing guidelines in the case. (The State) The teen who stabbed a Dutch Fork High School student to death last year after a basketball game in an eatery parking lot won’t be able to avoid trial for murder. Judge Thomas Russo has ruled that Kierin Dennis, whose lawyer had argued that Dennis was entitled to “stand your ground” immunity from prosecution in the killing of Da’Von Capers, will not get that immunity. Dennis is charged with one count of murder and one count of possession of a weapon during the commission of a violent crime. Dennis’ claims of being in fear of his life because Capers was supposedly trying to enter his SUV are “not credible,” Russo wrote in a 10-page legal opinion filed in the Lexington County clerk of court’s office. COLUMBIA, SC (WIS) – Officers with the Lexington County Multi-Agency Narcotics Enforcement Team (NET) conducted a large-scale raid today on three Midlands smoke shops and a Columbia home.The DEA confirms its agents served search warrants at Time Warp locations in Lexington and Irmo, and Rave-N in Columbia. The home of Jenny Maria Baker, 42, who previously identified herself as the owner of all three businesses, was also searched by Richland County Sheriff’s Department K9 teams Thursday morning. Lexington County Sheriff Lewis McCarty said NET officers obtained the search warrants as a result of conducting an undercover investigation that began in February 2-13 and included the purchase of spice or synthetic cannabinoids at the Time Warp locations. Officers are conducting the investigation in cooperation with the federal Drug Enforcement Administration.